Memory card such as SD (Secure Digital), miniSD, microSD, CF (CompactFlash), SM (SmartMedia), xD Picture Card, MMC (Multimedia Card), MS (Memory Stick Pro/Duo), M2 (Memory Stick Micro) and etc. is been popular used as the storage device for digital camera and camera phone. All photos and images captured and saved on the memory card is precious, valuable and important, if not priceless. However, human mistakes such as accidental deletion or card format often cause days of agonies for losing the photographs. 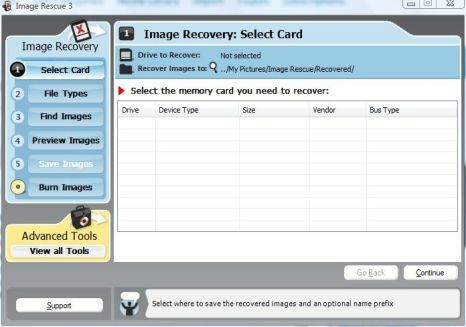 Lexar Image Rescue is an image recovery software that able to recover lost or deleted files form any type or brand of memory card, using any card reader. Of course, there are plenty of other files or data recovery products available, from freeware PC Inspector File Recovery, Recuva and FineRecovery, to Undelete 2009, Unistal Data Recovery, UndeleteMyFiles Pro, MultiStage Recovery, PC Tools File Recover (with free license), and EASEUS Data Recovery Wizard Professional (with free license), but none of them is specialized in image and photo recovery from memory card unlike Lexar Image Rescue. 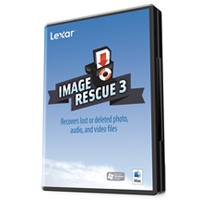 Lexar Image Rescue 3 is available for free download with new 2007 Lexar Professional or Platinum II line CompactFlash or Secure Digital memory card purchase. Else, it costs $33.99 to buy from Lexar Online Store. But with the following trick, the software can be downloaded, installed and used for free. Enter any email address (can be fake), and then click on Submit button. Then, choose either Windows XP / Vista or Mac OS X from the drop down list, and click on Download Now button to download imagerescue3.zip. Run the setup.exe inside the ZIP archive to install Lexar Image Rescue 3. No serial number, product key nor activation code required.